This will go into our bulletin next week. In case you copied the post before I checked out your comment, I noticed a reference letter that carried over from my cut and past job in the script reference for Revelation 4. It’s fixed on my side now. Might want to fix that on your side in case you didn’t notice it. Have a great week brother. This is awesome! 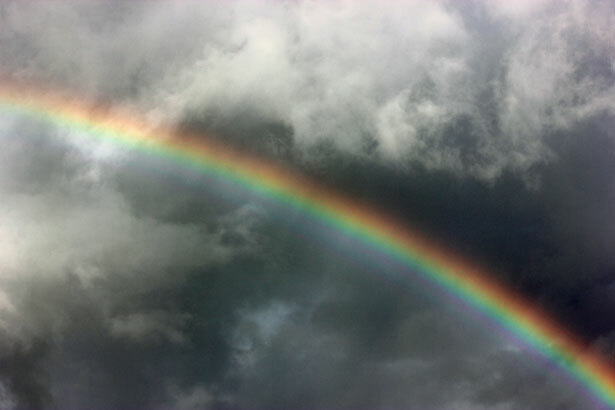 Rainbows in heaven; I love that! Such a comforting post! Always important to keep the rebuking balanced with exhortation. Glad you enjoyed it. Well, I’ve been reading through some of the other posts on the other aspects of Calvinism. I’m going to put this to rest eventually I hope. Not going to comment until I’ve finished the TULIP articles. At this point, I’m inclined to disagree with most everything I’ve read about it. I want to know for sure what I believe because I have friends who believe in it. I don’t think I ever finished the I or the P, but there is plenty out there to read. There’s stuff on TFR, and one site I would suggest is Christian Courier. I think you can actually find the link to that site on the right-hand side of this site under the “Great Websites” section (if you’re using a desktop…if you’re using a mobile device, it will be at the bottom after all the articles).